One reviewer once said of Jason Falkner’s song, I Live, paraphrasing here, that it is a song that pretty much encapsulates what rock ‘n roll is all about. Buster Blue’s first collection of songs, This Beard Grows For Freedom, was a big, boisterous, brassy affair. Their second, When the Silver’s Gone, introduced a more introspective sound. The following EP, Still on Conway, had the band stripping their sound down to whatever it was they could do with the instruments that they could actually use while stranded on a mountain pass. This musical journey is a good preparation for the band’s latest offering, Sleep Less Where the Heart Is. The brass has been replaced with a string and bow in parts of Buster Blue’s sound. The jams and the songs have gotten longer. The band’s excellent composition skills are at play delivering songs of all kinds. The album leads off with acapella and handclaps and takes a tremendous romp through a country-western sound, and a smattering of the blues and jazz band influences that have become a hallmark of this band. There are some new things on this album, and they are best represented by the performance in the song Leave me in Couer D’Alene. Everything about this song is an interesting new direction for Buster Blue. It starts off very French, then quickly takes a turn into a New Orleans jazz orchestra direction. Bryan Jones’ vocals waver between quiet and wondering and tortured and desperate all in the first stanza. At just north of 4 minutes, this song pulls a unifying theme through for the listener a few times, and represents a terrific departure into longer-length songs for Buster Blue. The choral element that is present throughout the album also shines through here. Another example of a departure from the previous Buster Blue sound, while continuing the spirit of the tradition, is Magnetic Pull. Andrew Martin’s falsetto voice starts the song and leaves you thinking you might be listening to one of his signature quiet acoustic songs. But then, something happens. Layers of sound begin to appear, and suddenly, it’s no longer a quiet song with just an acoustic guitar providing the accompaniment. Movements, concentrated bursts of energy accompany the song through to the conclusion. You will find the same thing on Hallucinating in C# Minor. The biggest departure of all is the direction that the band takes on Visions of Laredo. This is a solid, marketable alt-country number, featuring a country yodel sound from Bryan Jones’ vocals, and Brendon Lund’s bass conjuring up a classic country sound. Then, a lead electric guitar comes in and carries the song out. There’s more to hear on this album. Piano figures throughout much more heavily than in previous Buster Blue work. Perhaps not surprisingly, the songs are mostly fairly dark paeans to perfect love pulled away suddenly, as if the songwriters only have one way they experience love. The good news is, like on their previous efforts, the music they wed to these themes provides the perfect vehicle to convey the messages. Get a copy of this album. You will be glad you did. How to write about the sprawling, sometimes melancholy, collection of songs frm Wolpertinger entitled How We Are Alike, is a subject that has evaded me since I started listening to it. My history of listening to this band goes back a while, when in the summer of 2011, the band’s album Lady Midday accompanied me on a considerable number of road trips. Wolpertinger is, if nothing else, music to travel to, especially in those cases where the lyrics are describing thoughts and feelings that might be occurring in the listener’s mind. How this band can put out music that so accurately mirrors my mood confounds me. You might be guessing that at least for this reviewer, the second full-length album does it yet again, and to a certain extent, you’d be right. But in those cases where the music doesn’t describe my actual thoughts and feelings, it provides an excellent backdrop against which to put my thoughts and feelings in relief. There’s nothing predictable about this album, and like a lot of good music, particularly prog rock (a genre to which the band would probably claim membership,) it takes a few listens to get the hang of it. But once you’re there with it, it’s there with you. This album brings out a more anthemic direction from Wolpertinger, with tracks like “Friends and the Fear”, “Night”, and “Summer Isn’t Coming”. The first two tracks have a certain sort of pop appeal, and the third is quite an affair, hearkening back to musical theater with its chorale parts as well as its numerous movements and layered melodies. The album brings out another sense that comes through in past Wolpertinger lyrics, that of a recognition, acknowledgement, and commentary on the baser bits of human existence. What in the track “Get Lost” is an offer to celebrate that baseness, we find reborn in “When We Get To The Interzone” as a callous reflection on it from the perspective of a world traveler. Where on “Stolyarny Lane”, there is a sense of yearning to get in and explore the night, on “Rockland” is the sense of the inevitable comedown. Nothing but dead neon here, indeed. God damnit. Love comes, and it comes with pretty gay lyrics. “Alaska” conveys a sense of desire to run away, embracing a place personified as a new soul mate, or at least life partner, whereas “Psycho Boyfriend” tells a tale that is fairly self-explanatory. 9 tracks, and there are still another 6 tracks to cover, requiring more words. Those words will come, because I will hear those songs over and over again this fall – this time on walks through cities I have grown familiar and comfortable with. With How We Are Alike, Wolpertinger captures the essence of fall through tracks that explore a considerable range of human emotion and experience, and it is well produced, well played, and well sung music that spans genres at most times effortlessly. Give it a listen. 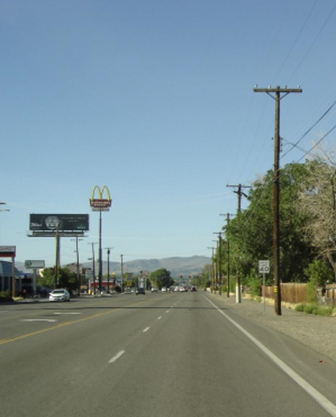 NDOT’s Kietzke Lane Safety Management Plan study is the best thing to happen to roadways in Reno since… ever? 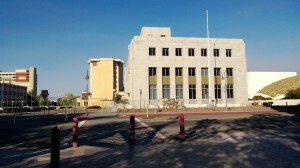 At the July 10, 2013 Reno City Council meeting, a representative from the Nevada Department of Transportation presented a study and recommendations for improving the conditions on Kietzke Lane in Reno along the right-of-way where Kietzke is a state highway. Usually you hear about state DOT’s as boogeymen for good urban planning. The cliché is that DOT’s are all about moving cars, and frequently as a result of this, pedestrians, people on wheelchairs, and cyclists suffer an undue burden. Nowhere in Reno is this more true than along the Kietzke Lane alignment from South Virginia Street on the south to about the DMV on the north. This is precisely the area that NDOT’s study looked at. A not unusual example of what it looks like on Kietzke. Imagine being a pedestrian there! The presentation was full of photos of the current conditions. There are no sidewalks in many areas. ADA ramps for wheelchairs end at utility poles that are in the middle of an abruptly ended sidewalk with raised concrete preventing further movement in the char. Bike lanes randomly start and stop. The proposals are exactly what would be needed to position Reno as a 21st-century city with strong infrastructure for all users. 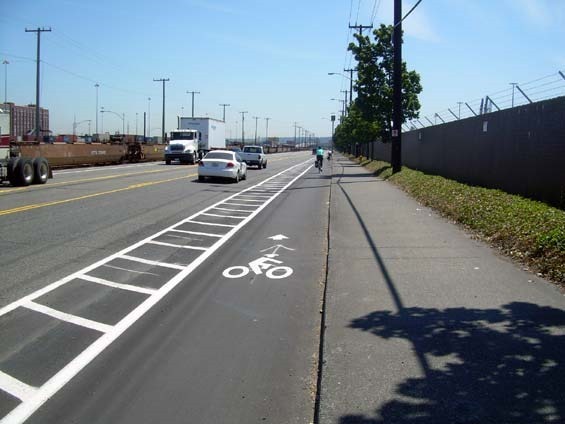 Buffered bike lanes, bike boxes (!!!! ), sidewalk continuity, pedestrian island medians, improved lighting throughout the corridor… this is the kind of stuff they’re talking about. 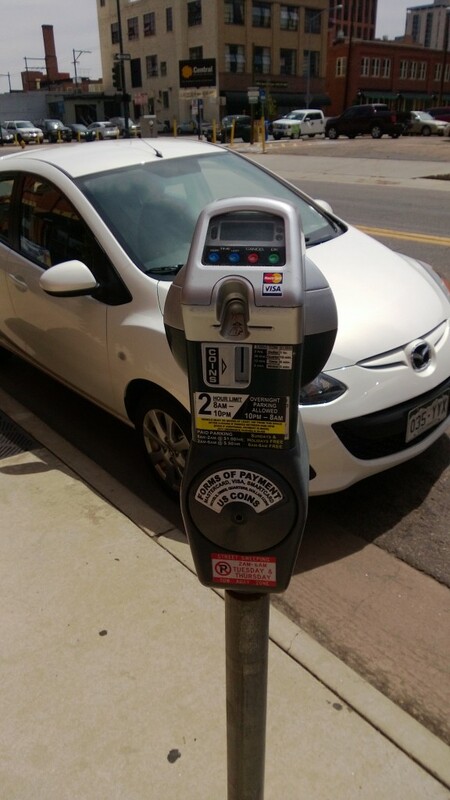 Unfortunately, there are some problems, not least among them being the conservative elements on the city council, and the concerns those representatives have that businesses in the area will object to the street parking being taken away. Many of the businesses on Kietzke Lane are car dealerships. This strip of Kietzke Lane is missing the bike lane that exists just a few hundred yards south, has no sidewalks to speak of, utility poles, and a tattered assortment of fences separating it from the surrounding streets. Consistent sidewalks conforming at least to the minimum ADA requirement of 36” width, plus buffered bike lanes, would make this area not only much more safe and functional for all users, but it would also make the area much more attractive. A community’s aesthetics go a long way toward how it is perceived by itself and its visitors. It’s actually possible to keep street parking, enhance bicycle and pedestrian infrastructure, and make the roadway safer and more efficient. 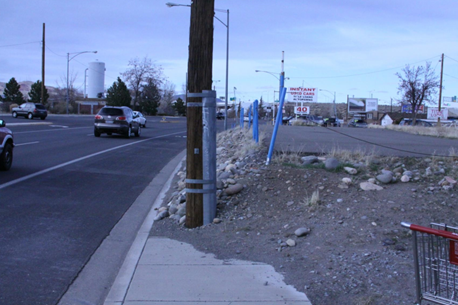 NDOT’s proposal calls for using buffer strips to isolate the bicycles from the auto traffic. The buffer strips would be zones where there would be no street parking. But if the buffer strips were used as street parking, cyclists would have a layer of protection from the auto traffic in the form of the stationary vehicles separating the two. Street parking would be retained to the satisfaction of nearby businesses. Other ways to mitigate this problem include signage directing visitors by car to offstreet parking. The NDOT rep was quite adamant that there’s adequate offstreet parking, and it’s hard to disagree. Much of this corridor is composed of strip malls with their own parking. Many of the most intensive uses have adequate parking available behind them on sidestreets. NDOT, the RTC and city traffic engineering department could work together to devise ways to flow the traffic from Kietzke Lane to the adjacent streets, taking significant strain off the one roadway and opening up opportunities for the businesses on the side streets. This would also have the advantage of promoting opportunities for street grid repair. At the end of the day, the real issue is that the middle of town is no place for a state highway. NDOT’s proposal is visionary, and would help place Reno in a category of cities known for having top-notch transportation infrastructure for all users. This project deserves your support. 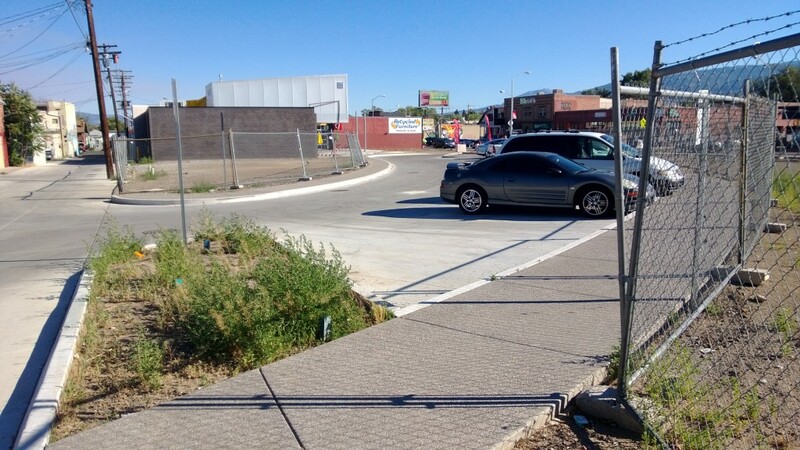 Contact the city council and the mayor, and encourage them to support this innovative proposal to repair one of urban Reno’s least attractive corridors. Here’s a list of the priority 1 recommendations. A nice little summer playlist is beginning to come together. Here’s the latest from Seattle-based Secret Shoppers. Long ago I argued that Reno should install some parking kiosks. The ones I had in mind are neat, they print out a sticker you put on your window that says when your time has expired. Your windows can get a little gummy… but the system generally works well. Imagine my surprise when I saw what Denver’s doing. 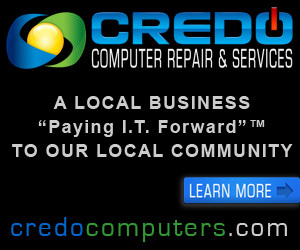 They have parking meters that take credit cards. Awesome. No stickers. Glad these projects are underway. For the one that’s open and not immediately under construction, a little bit of landscaping would go a long way. For the other one, well, go down there and get a good look. That building is standing naked before the world. Just in time! Your official Shoegaze/Soul album of the Summer! Here’s an Alexander Korostinsky project just in time for Summer. It’s free. And mighty good. Captain Capitalism vs. … Really? You’ll just have to watch until the end to see who Captain Capitalism is up against.